Jean-Michel Menard's guest blog the other day has seemingly rubbed at least one fellow athlete the wrong way. Speedskater Ivanie Blondin sent out a Tweet saying that she felt he was acting a bit spoiled. Menard said that he was bothered by the constant erosion of perks and accessibility given to the curlers at the Brier. Of course everything is relative. If you haven't had any of that stuff, you don't know what you're missing. 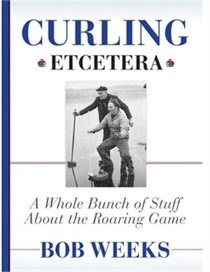 And certainly most other athletes don't get treated as the men curlers do at the Brier. Even the women at the Scotties never had it quite as good as the men. They're now about equal. To some that I heard from, Menard sounded a bit like a petty child whining. But if you've played in a number of Briers as Menard has, you would view the changes as cuts. Apparently if you are a speedskater such as Ivanie Blondin, then you view what the curlers have currently as pretty darn good. Part of this is hard to compare of course. 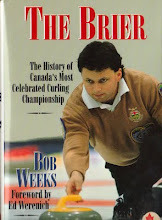 A speedskating event is unlike a Brier. A bit of apples to oranges. Not every player in the Brier is getting Sport Canada funding as an athlete such as Blondin would either. One thing that seems a little strange in this? 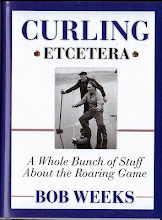 I wonder why a speedskater was reading a curling blog to begin with?